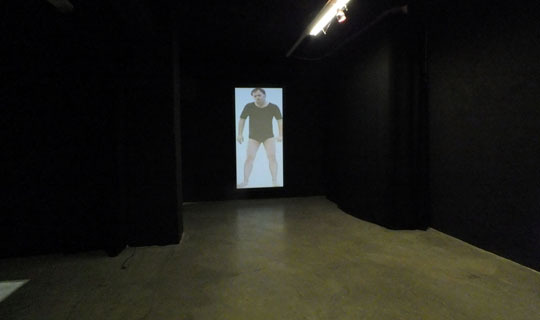 The exhibition "Alteration" shows three video works by the German artist Eike that have been created during his stay in Hungary. The exhibition title refers to the common character of his work, to the changes that go through all image motives. 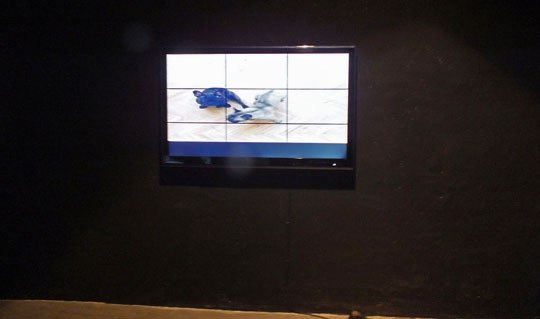 The focus of his videos, installations, computer and light art works depict mostly border areas and transitions: time and space, reality and abstraction. Eike is particularly interested here in the relationship between physical and virtual experiences, as in Golden Cage and After Laika. In the light of this investigation the question is then, what influence the virtual representation of the world and its media presentation has upon our experience. Eike’s artistic work operates a basic research and develops structures of this experience in an experimental way. 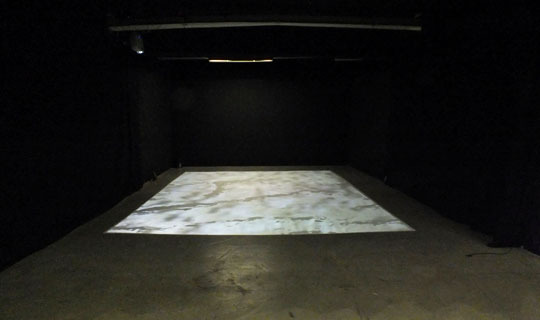 One of these basic structures is the experience of space, as shown on the video installation Alteration. 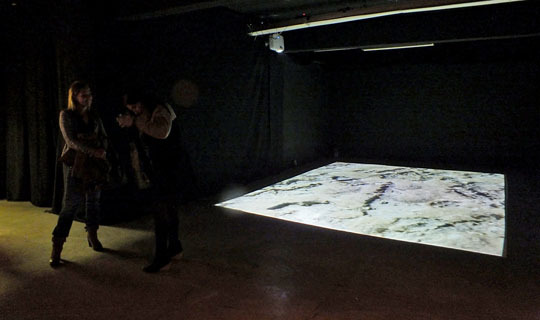 It shows floor projections of stone surfaces that fall steadily. They blur in the depth, while repeatedly forming new black spots in the surface and connecting to new structures. For the viewer, the video image gains an in-depth spatial dimension. He gets the impression that he is being pulled under his feet. 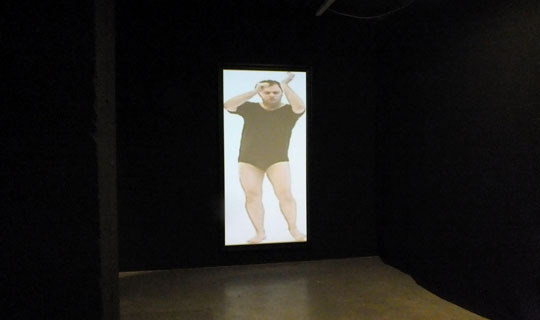 Golden Cage shows the artist performing dance movements in a black picture frame. His body remains in contact with the frame, and changes according to his movements. In the video After Laika two dogs explore virtual space. Both works allow us to recognize the autonomy of the virtual image against the physical reality. This creates a stunning image of subjective space, alienating the viewer and contradicting his physical experience. All spatial information is transferred into the virtual space in a way that is foreign to the human sensory organs.